Looking great is easy when you have unlimited resources. However, most of us live within limited means where every dollar is accounted for. So how do you build a wardrobe that serves both your professional and personal needs without breaking the bank? What can Average Joe do to look sharp without investing big bucks in clothing? Here are ten of my favorite tips for upgrading your style and your wardrobe on a budget. Get to the thrift store. Second-hand, charity, consignment, and other used clothing stores can be a gold mine for sharp-looking menswear. If you’re patient and thorough, you can find everything from a conservative-looking business suit to funky concert clothes. But to really make thrift stores work, you’ve got to be a habitual browser. The odds of walking out with something that fits and looks good on any one trip are vanishingly small. It takes multiple trips and an open mind to start building a wardrobe from thrift stores. Ideally, you should get to know the selection and staff at the closest thrift stores, checking in several times a week for a while until you get a sense for when the new stuff comes out and who to ask about any goodies hidden away in the corners. If you can’t make that many trips, get as many as you can in, and shop with an eye for anything that could look good on you, not just whatever your need of the moment happens to be. Finally, if you can travel, take an occasional trip out to more distant thrift stores. Ones close to well-heeled suburbs often have a much better selection of upscale clothes than urban stores, and are less picked over as well. A nice pair of leather shoes is an instant upgrade to any outfit. It’s one of the simplest ways to dress your style up. Even a guy in blue jeans and a plain white T-shirt looks like a respectable man if he’s got some nice black leather shoes or boots and a matching belt on. Trouble is, good leather shoes are also one of the most expensive wardrobe items out there (and cheap ones just don’t have the same authority). The solution? Second-hand shoes, plus a good knowledge of re-crafting and restoration specialists. A solid shoe brand like Allen Edmonds can be restored from a truly bedraggled state to something close to the original, if you know a good craftsman. Some brands also offer their own re-crafting services, and most aren’t too picky about demanding an original receipt or proof-of-purchase so long as it’s obviously one of their shoes. Be on the lookout for hard-used but well-made shoes. Advanced repairs aren’t cheap, but they’re still a bargain compared to buying new. For the price of a cheap pair of shoes, you could end up with something much nicer and sturdier. Do the little things. They matter. Shoes get polished. Frayed cuffs get hemmed. Little rips get stitched up or patched before they turn into big rips. Make it a habit to brush your suit jacket after wearing. This doesn’t build your wardrobe or expand your style, of course, but it keeps your wardrobe from shrinking while you’re on the lookout for new pieces. Good storage counts too — a suit or sports jacket will last a lot longer if you’ve got it on a proper wooden hanger and store it in a garment bag for long periods of disuse. Shoes should be stored with shoe trees inserted (or at least gently stuffed with rolled-up newspapers — the poor man’s shoe tree). 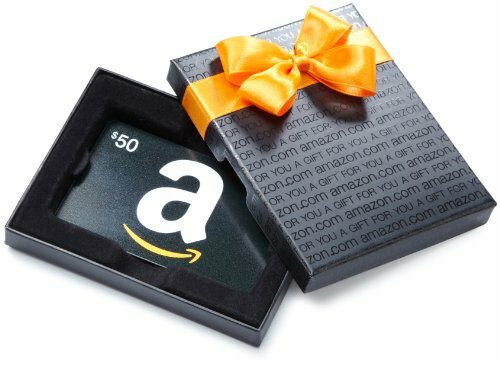 Amazon.com Gift Card i... Check Amazon for Pricing. Read this AoM article on protecting, storing, and cleaning your clothing. Just like shoe repairs, a professional tailor’s adjustments can turn lightly-used clothing into something resembling a brand new garment fitted just for you. The trick is finding someone who actually specializes in adjustments, and is willing to take the time to get them truly customized. A lot of in-house tailors at ready-to-wear menswear stores aren’t really making custom adjustments even if they do take your measurements — they’re just trimming to pre-determined lengths and widths. Look for local, independent shops and take the time to build a rapport with the tailors you find. The extra time is worth it in the long run. Here are my 7 tips for finding a great tailor. When You’ve Got It, Flaunt It?